KNIP, P., TEMMINCK, C.J. 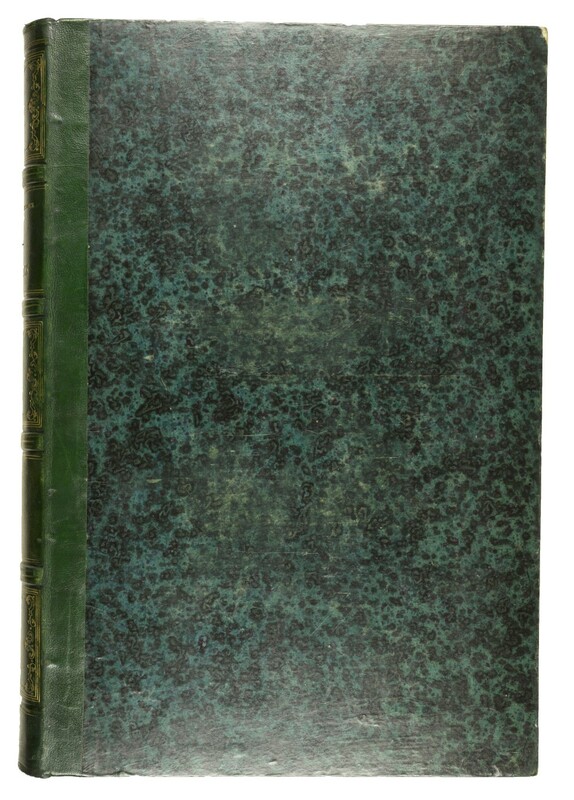 & PREVOST, F.
& F. PREVOST (volume II). Paris, Mme. Knip, Bellizard, Dufour & Cie, (1838-1843). 2 volumes. Folio (535 x 355mm). 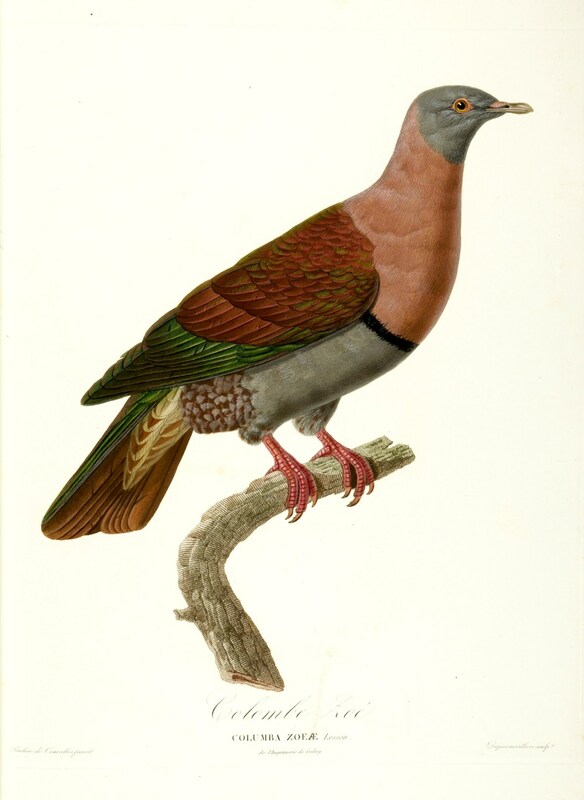 (I:) With 87 engraved plates, printed in colours and finished by hand; (II:) With 60 coloured plates, of which a few engraved and the larger part lithographed. Contemporary green half morocco, richly gilt decorated spines with gilt lettering in 5 compartments and green marbled sides. 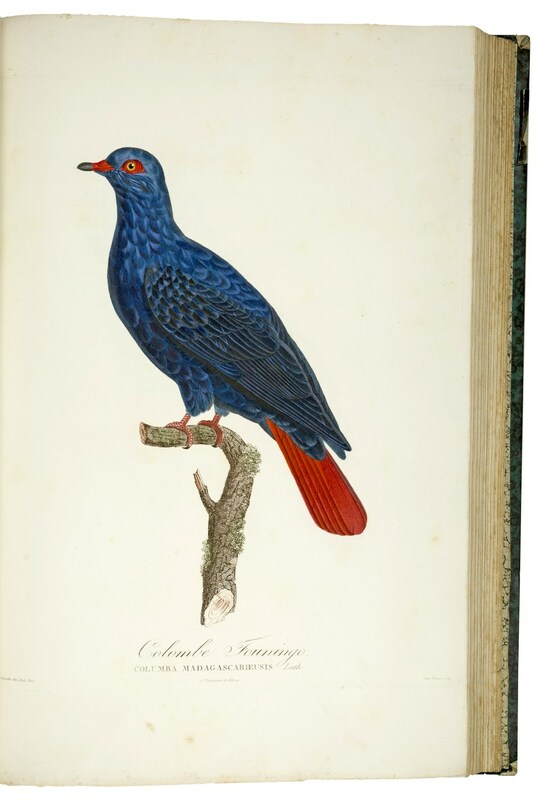 Second edition of the first volume (apart from a few alterations similar to the first edition and most likely a re-issue of the remainder sheets) and the second volume "said to be probably the rarest item in the whole of ornithological literature" (Wood). 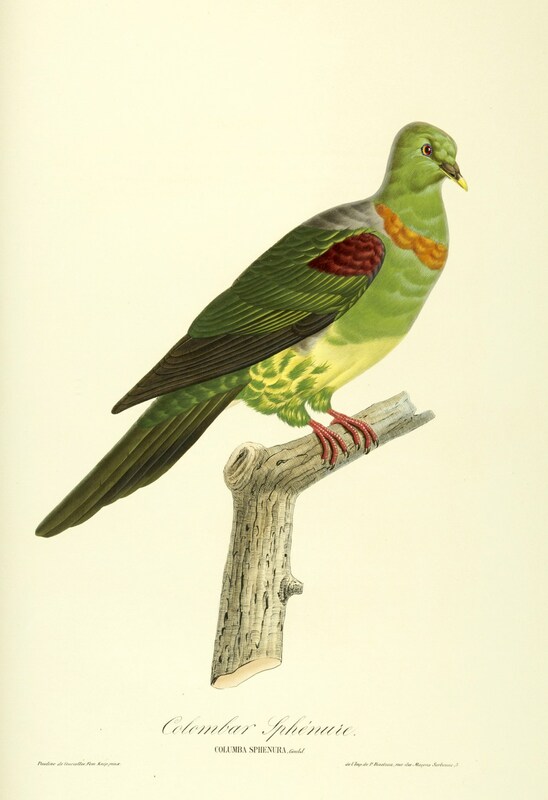 "Among the finest of all bird plates" (Fine Bird Books, p. 86 attributing the maximum rate of 3 stars to this work). 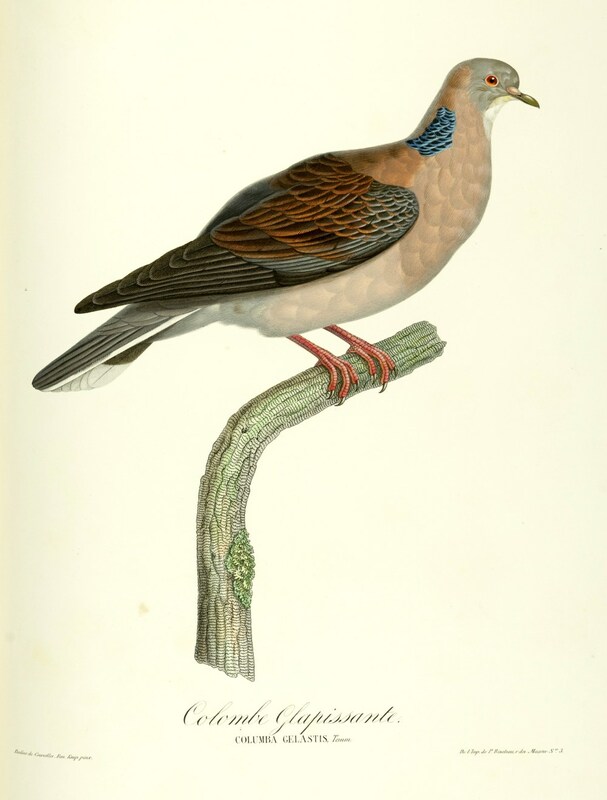 The most beautiful work ever published on pigeons, of which the second volume is hardly ever present. 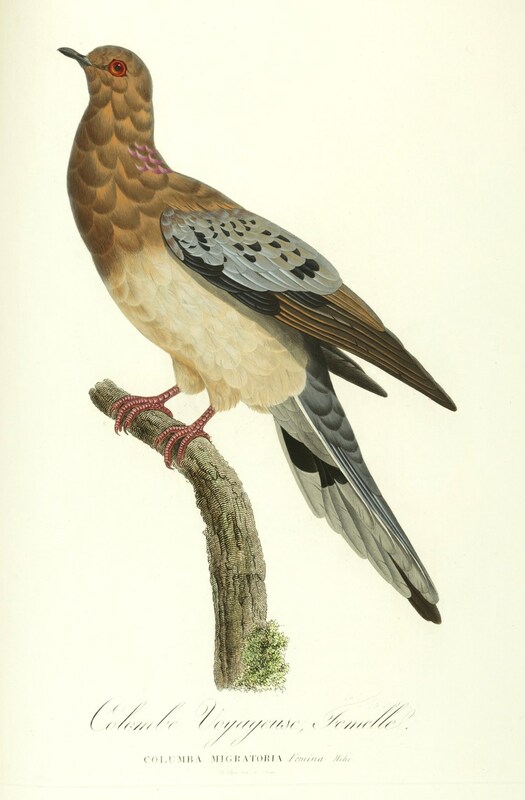 "A noted work, stolen from Temminck, the original author, by Madame Knip, the artist, who suppressed the titles and introductory matter and substituted others of her own ... Of the original folio of Temminck, entitled 'Histoire Naturelle Générale des Pigeons', only twelve copies were seen and approved by Temminck, eight of which he retained himself" (Zimmer p. 356-58). 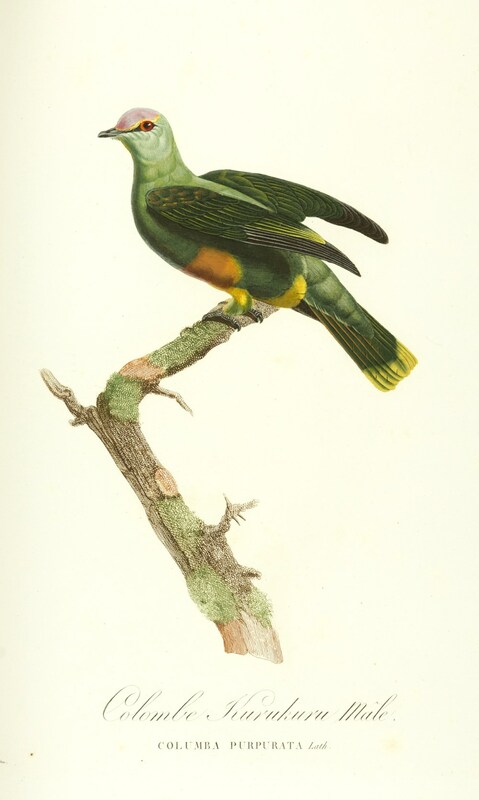 Pauline Knip née Pauline Rifer de Courcelles (1781-1851) was a French bird artist. She studied art under Jacques Barraband. 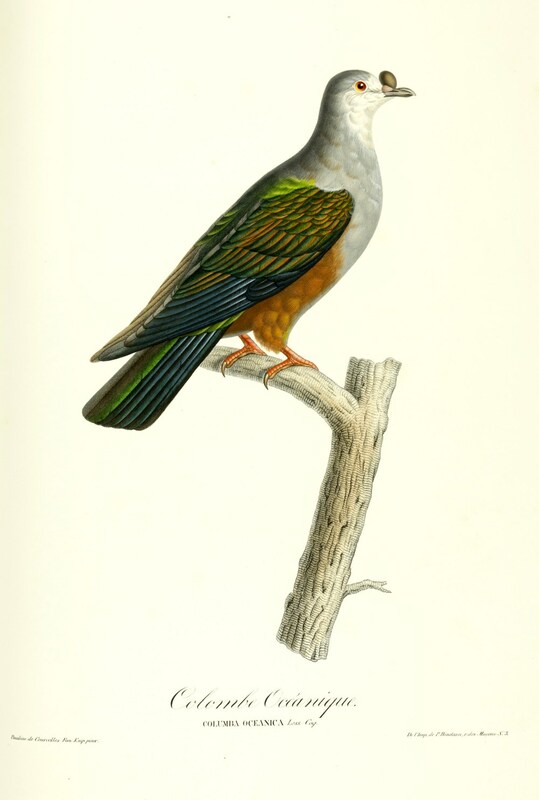 The alterations to the title of the work have led to problems in taxonomy, how the authors are to be cited for species described in them and the dates of publication to be considered (especially when applying the principle of priority in the International Code of Zoological Nomenclature). When the work was being prepared, Temminck lived in Holland and de Courcelles lived in Paris and was relied upon to supervise the engraving and printing. Madame de Courcelles was a friend of Marie Louise, wife of Napoleon Bonaparte and had royal patronage. 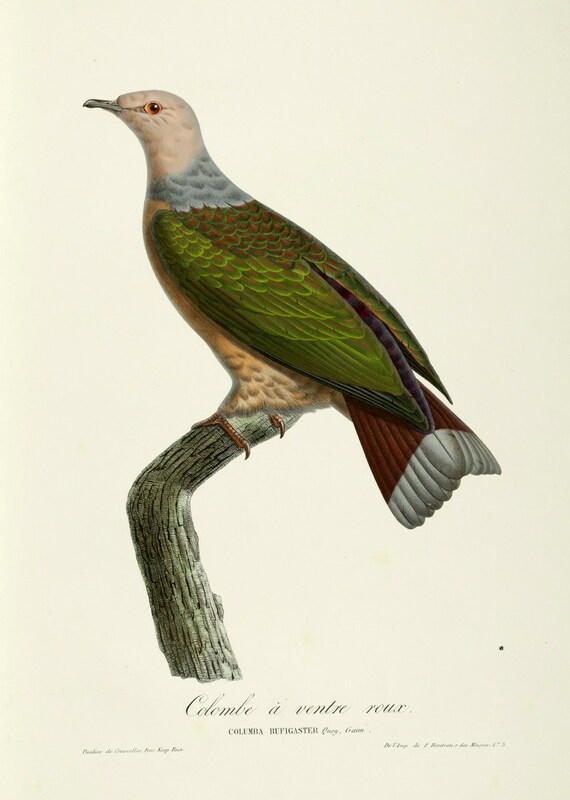 Temminck discovered the alterations only after 1812 and found that he could not complain about the piracy because of her powerful friends. He however added the following note: 'Tous les moyens mis en oeuvre pour appeler contre un acte si arbitraire, furent sans effet, et ma voix ne put alors s'élever contre l'intrige soutenue par des protecteurs puissants' on the matter at the end of the third and last volume of his 1815 work 'Histoire naturelle générale des pigeons et des gallinacés' . 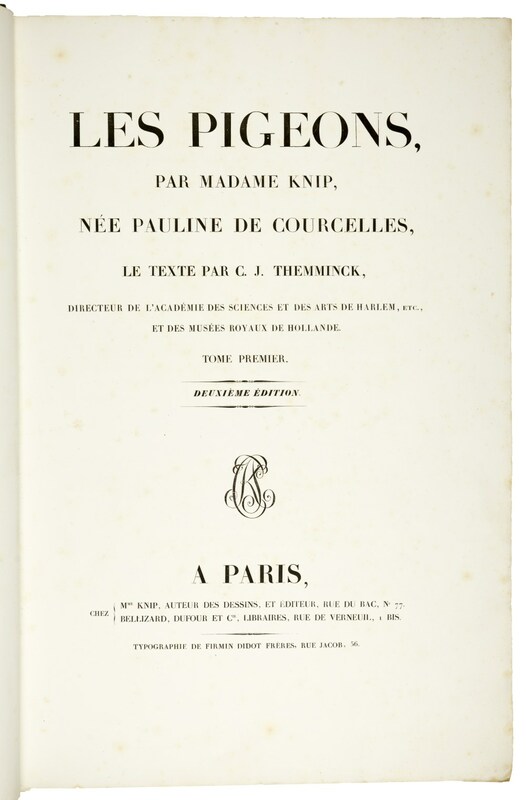 The misspelling of Temmincks name in as well the first and the second edition of the first volume was most probably a teasing by Madame Knip. 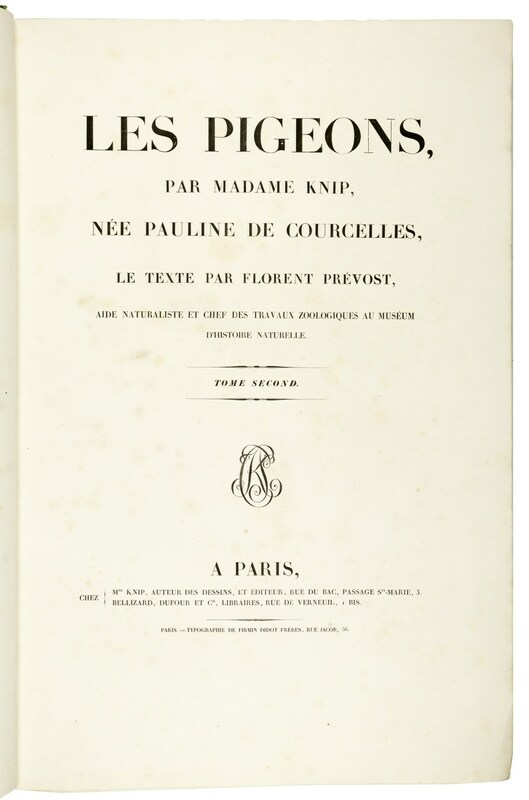 The second volume, issued under Madame Knip's control has the text by Prévost. 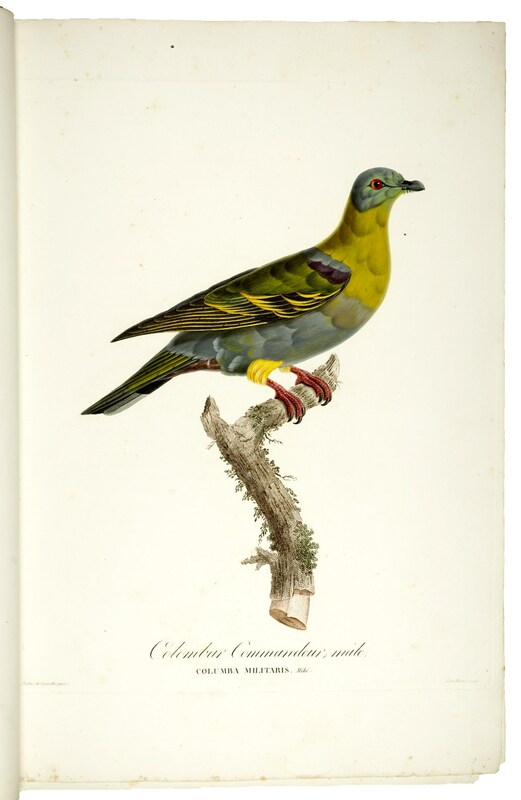 Its beautiful plates were executed from original paintings by Madame Knip, as was the first volume. 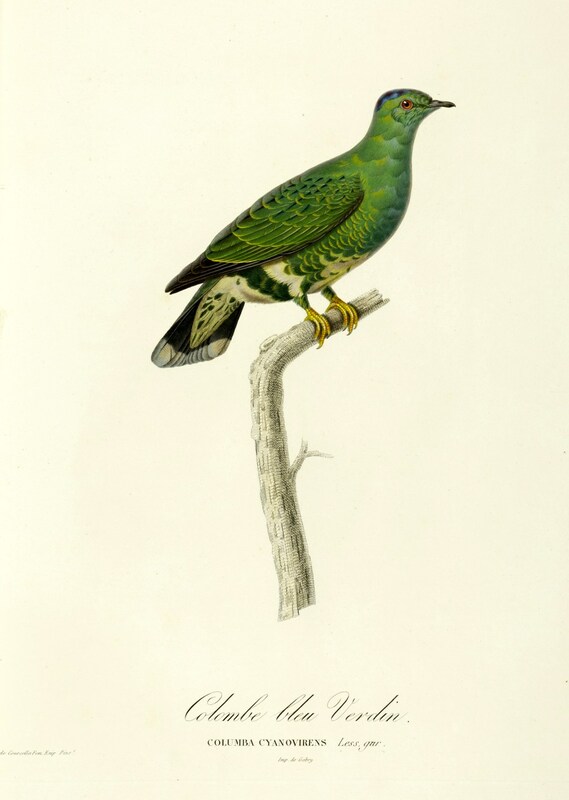 The plates in the first volume were engraved by César Macret, printed in colour by Imp. de Millevoy, and retouched by hand under the direction of the artist. 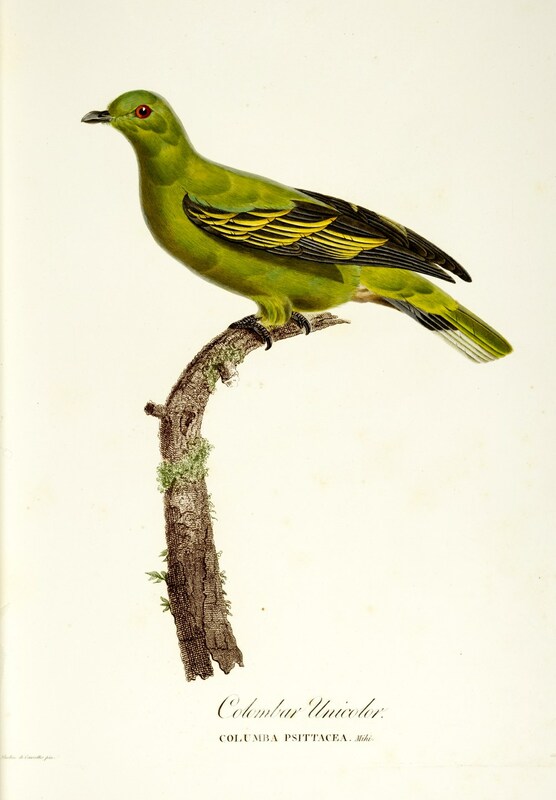 A few of the plates in the second volume are engravings, done by Dequevauviller or Guyard (printed by Imp. 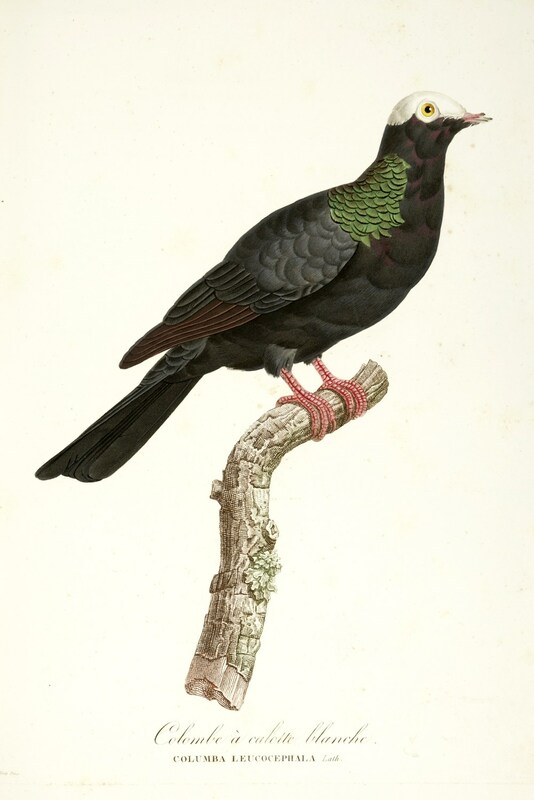 de Gobry, or Saunier), but the foremost part of them are lithographs (printed by Imp. P. Bineteau). The first plate in the second volume is an early issue before letters. Some occasional foxing. 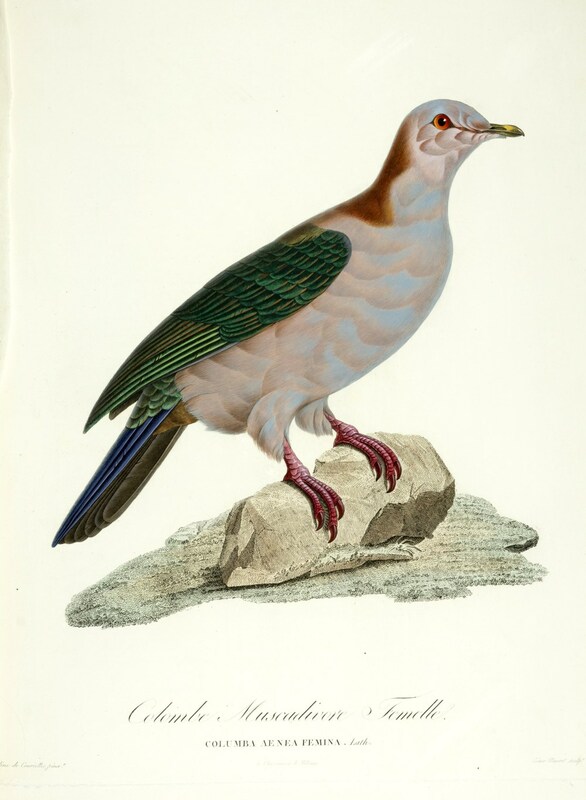 Fine Bird Books p. 86; Nissen IVB, 511; Ronsil 2891; see also E. Dickinson and others 'Histoire naturelle des pigeons or Les pigeons: Coenraad Jacob Temminck versus Pauline Knip' (Archives of natural history 37,2).